Admittedly, I borrowed this title from a recently published article on Forbes. The auther‘s point why investment in blockchain technology has never been so high is because an absolute majority of enterprises are actively working on use cases and solutions in the fields of utilities, healthcare, payments, supply-chain management, government and agriculture. What is missing here: enteprises can afford to invest in Distributed Ledgers. Because these technologies have reached a certain degree of maturity - at least, kind of. Corporations can‘t play around with technology, they have to make sure that innovative tools and functionalities are secure, stable and reliable. These are tough requirements when it comes to a technology that was made usable for a broader range of use cases in 2015. 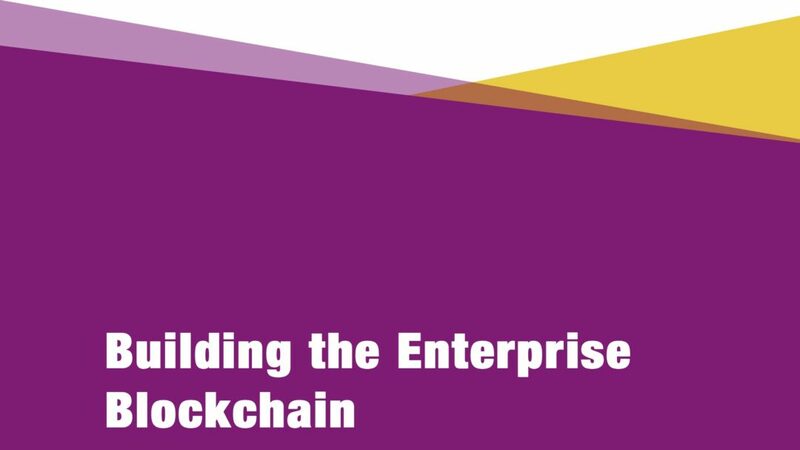 At Datarella, we are asked from time to time to explain our company‘s claim „Building the Enterprise Blockchain“. Essentially, our claim means to provide blockchain solutions that match the above mentioned requirements - our clients and partners must be able to rely on secure, scalable and resilient solutions. This enterprise-readiness requires expertise and know-how in the fields of technology, business, regulatory and legal systems, as well as governance - especially in decentralized systems. In other words, it isn‘t sufficient to know how to technically build - e.g. - a smart contract, but it makes much sense to know about the preconditions of a compliant use of smart contracts by enterprises. Then, not everything in blockchain solutions is core blockchain: if it comes to security, we develop zero-knowledge proof (ZKP) solutions - like, 'compute on data using Homomorphic Encryption' - that can be based on blockchain, but doesn‘t have to. Often blockchain is the basis and the precondition for applications is heavily equipped with security aspects (e.g. ZKP), or artificial intelligence AI - aka machine learning. At Datarella, we respond to these manifold requirements by learning by doing: most of the solutions we offer we have either implemented during our work with clients or we invest resources and create exemplary solutions for in-house use cases. With our applications CodeLegit (Compliant Smart Contracts), XSC Crypto Wallet, and Raw Coin (Supply Blockchain Solution as a JV with Wirecard), we demonstrate how things work, how reliable and usable they are and provide food for thought for digital innovation at our clients' brains. Based on our work with the United Nations World Food Programme, we created our own blockchain-based payment and ledger platform, we call RAAY - The Operating System for Digital Ecosystems. We offer plug and play with RAAY especially to those clients who aren't interested investing in technology development, but rather want to start doing blockchain-based business right away. Additionally, we organize one of the biggest Blockchain Meetups in Germany that takes place every eight weeks. For these meetups, we invite domain experts from all relevant blockchain solutions related areas to discuss the respective fields of expertise at a professional level. To ensure that these conversations will be continued, we co-founded the European Blockchain Association EBA, as well as the Blockchain Arbitration Forum BAF. At EBA, we support the synchronisation of blockchain-related activities throughout Europe. At BAF, we support building a database of arbitrators who can help with dispute resolution on the basis of smart contracts and other digitzed contracts. From a superficial perspective, Blockchain technology has seen its hype and now enters a cooling-off phase - at least if you believe in the Gartner hype cycle. On a more practical and realistic level, we experience the opposite: key industry players have realized that Blockchain isn’t a hype at all, but rather is a foundational technology that can substitute many inefficient legacy processes and thus, save billions of Dollars. There is no need to look for specific „killer (d)apps“: if done right, blockchain kills inefficiencies all over the place. Over the next few years, we most probably will face global economic downturns requiring cost cutting tactics. And this is the reason for large enterprises to invest in decentralized ledger technologies: blockchain kills inefficiencies, saves money, and makes business more robust against looming economic downturns.